We’re looking for top talent to join our team as a Residential Comfort Expert. 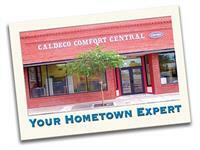 At Caldeco Air Conditioning & Heating we believe in doing what’s right for our customers and our employees. We offer the stability of working for an A+ company but we also treat our people like family. Our team is made up of the very best, and we provide ongoing training, support, and opportunities for unlimited professional growth. As a member of our team, you will follow-up on pre-set qualified leads and network to generate sales opportunities through referrals. With a strong focus on customer service and a commitment to excellence, you will conduct assessments regarding air conditioning efficiency, comfort, indoor air quality and present solutions. The qualified candidate must be mechanically inclined, have some HVAC knowledge and two or more years sales experience. Also required are good communication and time management skills, and self-motivation. Team work is a priority and sales professionals must be willing to work with and assist co-workers as needed, in addition to working some evening and weekend hours. We are proud to offer competitive benefits which include insurance coverage; 401k; paid holidays; world-class training; and long-term career opportunities.